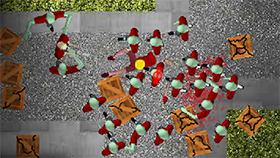 Zombie Squirrel Attack is one of the zombie games which was built by the author MINDistortion and published by Manuel Fallmann-Kerrutt. 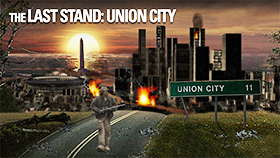 In this game, you will play a role of the squirrel, and your task is to attack the zombies. But don’t worry, you can have many guns to shoot them. Moreover, you can cover as necessary to avoid the attack of the zombie squirrels when they shoot back at you. When you finish each level of the game, you can get a new gun to use. You have to kill those zombie squirrels and kill their master to win the game. The music and sound effects of this game can make you scared if you play at night. Be careful and take your gun with you! 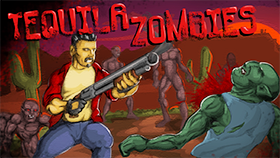 You can use one or two guns, shoot the zombie squirrel until they become a bloody mess to send them back to hell. You can shoot at any part of the zombies, remember that headshots can cause more damage to the zombies. In the game, you can use your mouse and keyboard to control and interact with the character. You can use the mouse to aim and shoot, space bar to take cover and the keys of 1, 2, 3, and 4 to use the guns. And press R to reload the game. You should not click all the time, just click once and hold the mouse button. You need to keep your shotgun ammo for the machine gun zombie. The gaming site Freegames66 can help you to play this game at school or company where you can’t play any game. Therefore, enjoy Zombie Squirrel Attack at any time and anywhere you want for free and more fun.